A week and a bit ago, I made a lovely trip down to London, to visit my mates from University. I used to go to the University in Reading, and miss how easy it was to go into London, even just for a couple of hours. So it was great to be back for the weekend. The weekend was packed full of food, cocktails and even a little game of junk yard golf. On our trip we visit some lovely places and I thought, I would share with you a couple of the new restaurants/cafes I visited over the weekend. Starting with London chain, GAIL’s bakery. We visit GAIL’s on a lovely Sunday morning, in Clapham. It was such a nice day out we even sat outside. 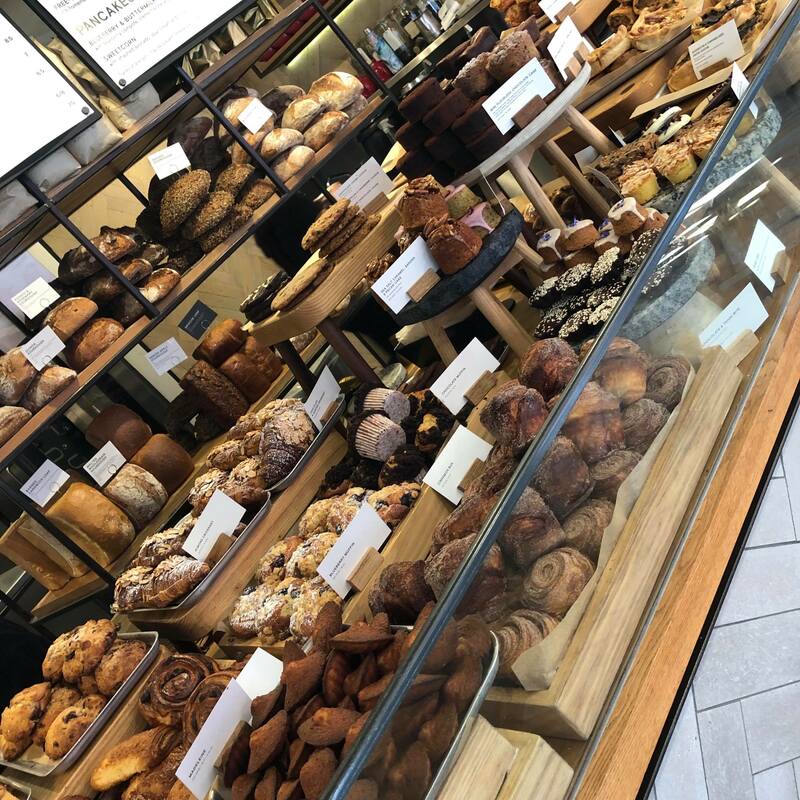 When you walk into the bakery you are welcomed by an array of freshly baked breads, pastries and more. Which they bake in house, daily. Who doesn’t love the smell of freshly baked bread and coffee on a Sunday morning – delicious! To start I ordered an oat milk latte, I usually drink coconut milk but they didn’t have any. However this was a great alternative and something I will definitely be ordering again. For food I opted for the potato cake, similar to a homemade hash brown, with a fried egg, smoked salmon and sour cream. It was lovely and light and just the right size portion to start of our day. My friends decided to go for the buttermilk pancakes with blueberries, maple syrup and creme fraiche. These looked amazing and the girls really enjoyed them. I have also heard they do the best EVER cinnamon buns. So I highly recommend popping in on your way past for a coffee and a treat. I hope you enjoyed reading about my trip to GAIL’s bakery. Watch out for more foodie posts from my trip to London.